Following a disastrous 2018 that saw it shed 28 staff members – 70 percent of its total employee strength – toward the end of the year, Steemit has announced that Elizabeth Powell is stepping into the role of Managing Director. The November layoffs underlined the impact of the 2018 crypto bear market on Steemit, which was once hailed as the decentralized alternative to Reddit before losing more than 93 percent of its value over the course of the year. We recently published our updated Mission, Vision and Values (https://steemit.com/about.html), as well as its roadmap focusing on increasing ad revenues, protecting STEEM assets’ value and cost reductions. My job is to execute the roadmap. […] I am working alongside Ned, the Board of Directors and 12 amazing team members and am confident in our future success. In May 2018, Coingape featured Steemit as one of five blockchain projects with the potential to reward users with crypto. From its launch in 2016, it was positioned and marketed as the blockchain’s censorship-free answer to Reddit, which would have the added utility of rewarding all participants in the ecosystem including writers, content creators, curators, commenters and readers. With over a million registered users, it has achieved a level of adoption that most blockchain projects can only aspire to, but this, unfortunately, has not translated into any substantial value. Critics point out that the novelty of receiving crypto payments in exchange for taking part in the Steemit ecosystem wears off quickly when users realize that they generally make little more than pennies. Others have also said that Steemit does not offer anything fundamentally different from what is already available on the internet and hence has failed to make the jump from the crypto community to the mainstream internet world. In other words, the project remains stuck in the realm of “cryptocurrency curiosity” with no real-world utility to support its value outside of crypto market speculation. 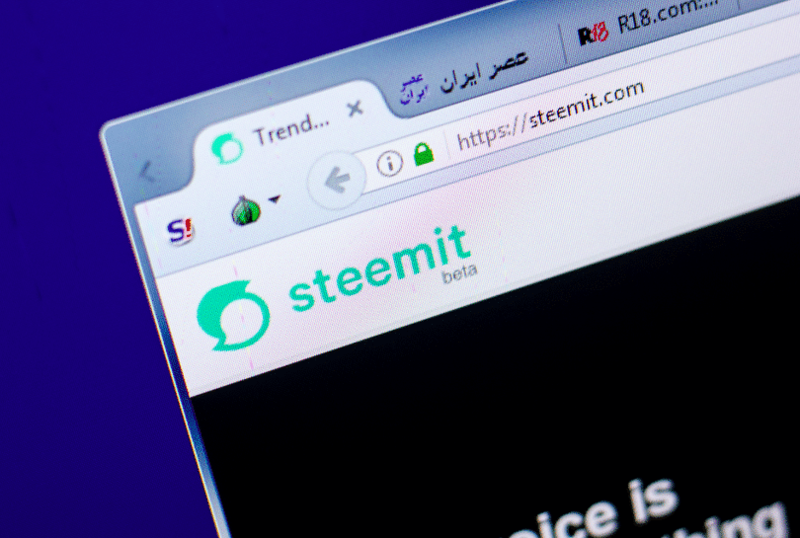 This was harshly emphasized over the course of 2018 when STEEM suffered a 90 percent fall from its December 2017 all-time high for no real reason other than prevailing crypto market conditions. From a peak approaching $7.50, it has fallen to about $0.50 where it is currently trading. This led to the mass layoff in November 2017 that has seen the company’s full-time staff number reduced to just 12. Going forward, Powell says that Steemit will consider using advertising to boost the economic fortunes of Steemit – a controversial move which nevertheless is part of the company’s roadmap, according to her.